Afghanistan, three days after the defeat of the Taliban. The UN twin engine plane was banking at 45 degrees, diving in circles as it dropped sharply from 30,000ft towards the landing strip of Bagram airport, 40 kms north of Kabul. We dropped at a speed that pushed my stomach up my throat. The pilot had warned us that this would happen. We had to fly over Afghanistan at a high altitude to stay outside the range of Stinger missiles. Only the airspace right above the airport was secured, so we had to descent within a circle of safety with one kilometer diameter. It felt like a roller coaster ride. And I do NOT like roller coasters. I kept my eyes shut, holding on firmly to the seat. Fayyaz and I were the two WFP staff amongst the handful of people flying in today. This was only the third UN-flight allowed into Bagram airport since the Taliban fled Kabul, three days before. Three days since the event that marked the unofficial ‘Taliban defeat’ in Afghanistan. The first flight carried our security officers, followed by one with some senior officials. There would not be another flight allowed for two weeks, until we could assure the security of our staff. I was asked to participate in this mission as the head of FITTEST, the UN humanitarian fast intervention team. I had to review the UN telecommunications systems in Kabul, and call in any resources needed to resurrect the installations. Until the next flight, I had to do with my two hands and any equipment I could find on the ground. Weight restrictions on the flight had not allowed me to take any tools or spares with me. One thing I knew already for sure: all public communication systems in Kabul were out. No telephone, fax, telex. The whole infrastructure was bombed to pieces or sabotage-d. For many months, the only communications would be done through equipment we brought in ourselves. We landed around noon, amid the wreckage of old artillery and aircraft of all kinds. Two guys in local attire, riding four-wheel motorbikes, guided the plane to its parking space on the tarmac. When we got out, onto the tarmac, we went over to say hi. “Where are you guys from”, someone asked, as their short blond hair showed they were no locals. “I cen’t tell ya’, said one, in an obvious Texan accent, with a radio labeled ‘USAF’ (US Air Force) strapped onto his belt.. Hmm..
We drove off in convoy to Kabul, crossing an area which up to three days ago was the front line in a war witnessed by the whole world through the cameras of CNN and the likes. It was a sunny autumn day with an absolutely clear blue sky above naked mountains topped with snow, which presided over a bright yellow desert valley. The litter of the relics of years of war were the only signs of civilisation amongst the void of sand and dust: old Russian-made tanks and artillery, shot to pieces and half-buried in the ground. In several places, the road was bombed or a big hole in the asphalt, with a wreck in the ditch alongside, reminded us that this was a heavily contested piece of land, fought over for twenty-odd years amongst countless warring fractions. The last battle took place only three days ago, between the Taliban and the Northern Alliance troops. Fayyaz and I were anxious to see our Afghan colleagues in Kabul who continued to run the food distributions during the war. They were all standing in the office compound as we drove in. We hugged them. We had not seen them since September 12, when all international staff was ordered to evacuate after 9/11. “Welcome back,” they smiled, “Welcome back!”. We all had tears in their eyes. We knew this was not just a welcome-back, but our return might also be the turning of a page in the history of Afghanistan. The last page in a chapter of twenty years civil war. This could be the first day of a new beginning for this lovely land and its great people, after decades of civil war. We told them it was good to be back, how worried we had been about them and their families. It had not been an easy time, these two months since 9/11. Our national staff were the real heroes of this emergency operation. Against all odds, and under the continuous threat of bombing and military reprisals, they had kept moving and distributing massive amounts of food for the needy. A short visit to the WFP warehouse proved the point of how real the risks had been to all of them. The staff there described with pride how they had loaded food as the military installations all around the warehouse were bombed. They showed us bags of shrapnel collected after the bombings. Many pieces of metal and debris had come through the tin roof and walls. It has been a while since I really touched radio equipment. You know how it goes: the more you get into the ‘manager’ role, the less you actually are involved in the real core of what you manage. For me, it was radios, computers, antennas, generators, networks, telephone systems. For two weeks, I would be the only international technician there… Time to brush up on long forgotten routines and manuals..
With some of our Afghan staff, we drove to the Intercontinental Hotel where our radio repeaters were installed. They all went off-air weeks ago. We found that, for safety reasons, the hotel staff had dismantled the radios, masts and antennae. All the bits and pieces were still there. But now came the next problem: as the UN flight to Kabul had had limited luggage capacity, I had not been able to bring my toolboxes. With some ingenuity and a Leatherman, we put all the pieces together again and flicked the switch: the two repeaters came alive with a soft hum. As the days went by, bit by bit all comms systems were revived. As I was the only UN technician, the staff from the different organizations asked for all kinds of support. I drove around town with my improvised ‘intervention’ team, and a Leatherman. Amazing what those combinations could resolve.. Generators were revived, satellites phones re-programmed, Email systems started spitting out messages again. The most exotic thing they asked me to do was to configure a computer so the head of the UNHCR office could pick up his email. Nothing exotic about that – except that the computer had a Japanese version of MS Windows! Euh.. What’s the Japanese for ‘modem’ and ‘control panel’ again? The trouble with all of these support trips was they were all followed a visitor’s protocol to first drink tea with the hosts. Unfortunately, the tap water in Kabul was real bad, and soon my stomach gave in to the constant attack of bacteria, and I got food poisoning (well ‘water poisoning’ more likely). One day, I just could not get out of bed anymore, except to go to the bathroom to throw up, or to do a liquid number two. 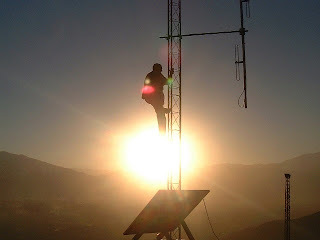 One of my more exotic tasks was to secure a good new site for the repeaters and mobile phone system we were bringing in. 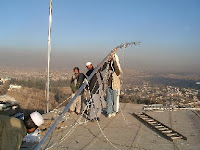 For years we had tried to get access to “TV hill”, a mountain smack in the middle of Kabul. It would be an excellent place for the antennae for our radio relay stations, but during the Taliban regime we were never allowed access to it. In fact, conquer the mountain is just what we did. The minister gave the green light and signed a paper stating so. A day later, we were in a car with a guy called ‘Maruk’, who turned out to be the Minister’s personal bodyguard. 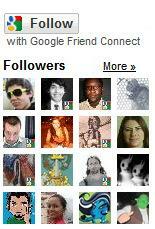 Hey, I must have given a good impression! “TV Mountain” has two peaks. The first had been heavily bombed and still had loads of live ammunition all over it. That was a disappointment: in between the anti-aircraft shells and thousands of rounds of heavy machinegun bullets, the uneven ground of the shelled bunkers and areas which looked mined, there was no space to put up any equipment. The locally hired UN de-miners also shook their head: ‘Too dangerous, it will take months to clear all this live ammo and to defuse any booby-traps’. The local military commander in charge of the hill, came over. Maruk and W ahab, my local counterpart, started discussing with him in Pashtu. They kept on pointing at me, at the sky, the town, and a handheld radio.. The commander finally got into our car and we drove to the second peak of “TV mountain”. I gasped for a moment, as we stepped out into a magnificent scenery. We stood, at an altitude of 2200 meters, under a clear blue sky, with B52 bombers still circling overhead, leaving white trails behind them. Kabul with its buzzing activity lays hundreds of meters below us. We looked at the horizon and at eachother as walked onto the roof of a building with a round concrete roof. It used to be an air traffic beacon, and now featured a hole from a massive bomb in the exact center of it. I remembered the video shots of the precision bombing from fighter planes, I had seen on CNN. ‘The commander has a request’, said Wahab. He took us into the ruins of radar installation. A local military guy lay on a make shift bed. He had two radios in his hands. He listened on one, a nd repeated what he heard on the other… A manual retransmission of messages.. ‘The commander says their radios have interference, can you solve it?’, translated Wahab. I looked on the roof at their antennas. They were too close. It took me fifteen minutes to shorten the bamboo poles supporting the antennas and to separate them. Interference solved. The commander smiled satisfied, and slapped my back and we shook hands in agreement. “This is the place.”, I smiled at Wahab. A week later, we brought in the first containers with equipment and the installations started.. The mountain was conquered. Still to today, “TV mountain” is the main communications site in Kabul.